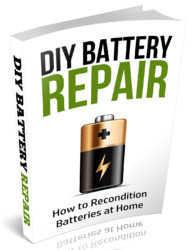 If you have been looking for a comprehensive electronics dictionary. then TAB BOOKS' The Illustrated Dictionary of Electronics (No. 1066) by Rufus P. Turner just may be the ticket. As the cover states, this work (868 pages!) 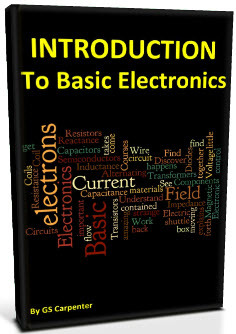 contains "Complete, modern definitions for well over 24.000 electronics/computer terms!" The "illustrated" part comes from the nice springing of explanatory drawings found throughout. Many so-called electronics dictionaries have, in the past, been very skimpy in numbers of termsand lengthsof definitions. This is not the case with this one. On lop of having a listing for just about everything that you can think of, many definitions refer to related subjects which may further enhance your understanding of a word or phrase For instance, if you iook up "transverse electric mode, the explanation also asks you to "Compare transverse magnetic mode' and to "Also see waveguide mode." Also mcluded is a Tables and Data" section, which contams. among other things, a wire gauge table, C°-toF° conversions, many generai-purpose conversion factors, electronic abbreviations, and many math and electronics constants. I am presently here at ISP in Ft. Madison, Iowa, and am tn-lerested in trying to lake my Novice license test here, This would be under unusual conditions, among which are not being able to use a code oscillator or have any radios besides the regular AM-FM broadcast receivers This is because the feeling is that we may be able lo hear police broadcasts on a ham or amateur radio. J know that this isn t possible, having studied electronics and radio schematics for several years and also having been in business. Novice Class License Study Guide and working on all 49 test questions, in hopes I'd be able to get the Novice license exam while here. Possibly, that may prove to some in here that a man can do something on his o.vn even when locked up. I'm also trying to get into the electronics shop here in hopes of being able to learn more in the field of electronics and, hopefully, also being able to take a correspondence course in etectronics^communications and work towards a 2nd class license, too. I'm presently doing a 10-year sentence and may possibly go up for a paroEe m October of this year I hope HI 'have my Novice license and, possibly, the communications course completed and my diploma re* ceived lo show the board here by lhat time. 1 sincerely hope that any readers who may be able lo help will write me here. I would like to contact anyone who is interested in or operating with 10-GHz equipment. I live in the Toledo, Ohio, area in southern Michigan. I need a DC7302N or a Mostek MK50362 40-pin clock chip to complete KSSK's "A Single IC Time Machine in the February. 1979, 73. If you have one surplus to your requirements or have information on possible sources, please write to me. No reasonable price refused. Bill Maxwell VK1MX 33 Dunbar Street Fraser, A.C.T.